Are airport posters just wallpaper? I always wonder what kind of response a poster at an airport gets. 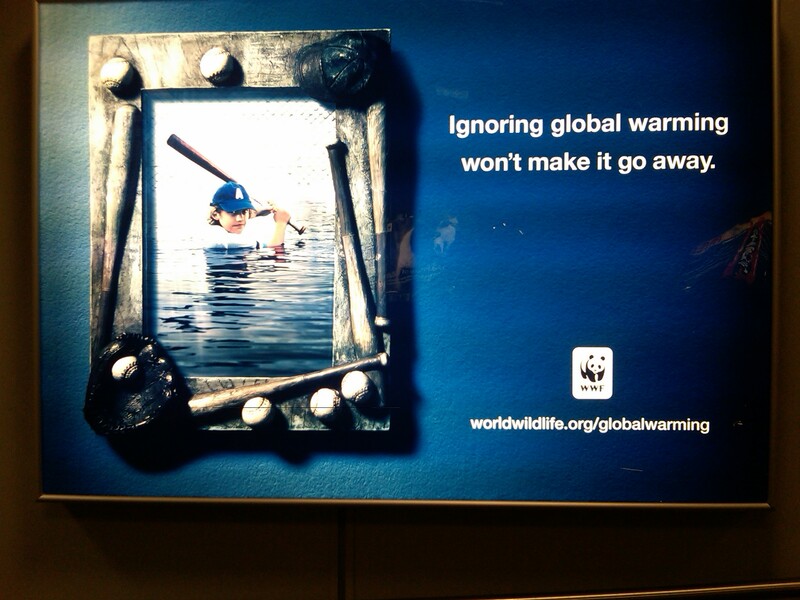 I saw this one at Salt Lake City yesterday, and it caught my eye because it was an attempt to humanize global warming. And yet organizations continue to spend on this kind of wallpaper.